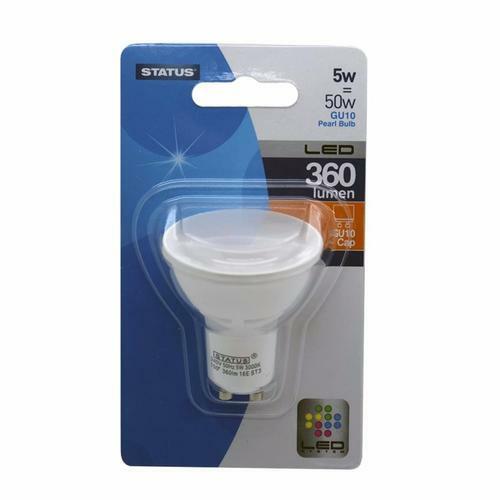 This 5W GU10 Downlight Bulb in Cool White LED provides the equivalent level of light as a 50W halogen bulb while only consuming 5W of energy, saving money on your electricity bills and putting less stress on the enviroment. This bulb is designed durably and has an expected life of 25,000 hours. An Energy Efficient and Long Lasting Solution. Saves you Money - This bulb can save you over £96 of electricity over its lifetime. Every base is a standard fit, so switching over is hassle-free. Flicker Free, Instant Start Up. Quick delivery at a great price.